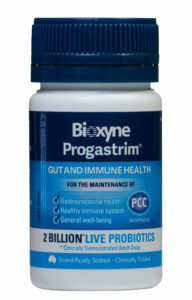 Progastrim® is a probiotic dietary supplement for gut and immune health. If symptoms persist, see your healthcare professional. Always read the label and use only as directed. 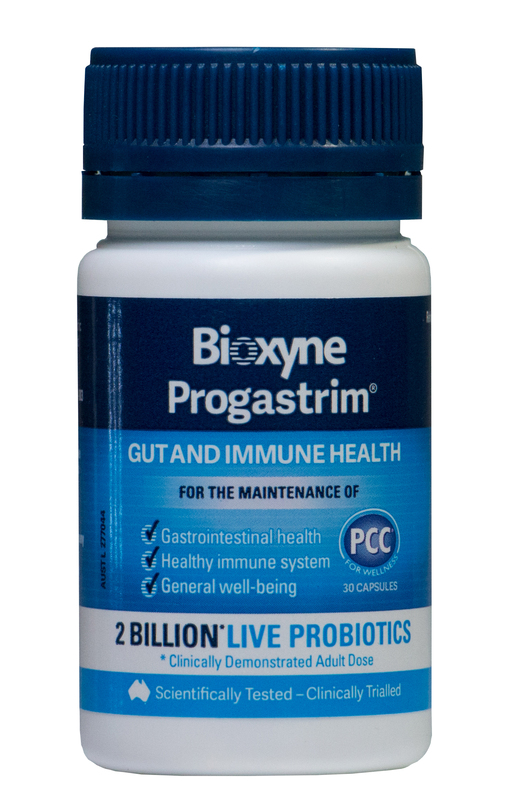 The active ingredient in Progastrim® is Lactobacillus fermentum PCC®; Bioxyne International’s patented strain of the probiotic. Probiotics are live, friendly bacteria that assist in maintaining a healthy gastrointestinal tract. The health properties of the specific strain of Lactobacillus fermentum PCC® found in Progastrim® are supported by a number of scientific and clinical studies, and these properties are what makes Progastrim® unique on the market. Several scientific and clinical studies have shown that consumption of Progastrim® may assist in the maintenance of a normal healthy gastrointestinal system and of a normal healthy immune system. Adults: Take one Progastrim® capsule a day with food and plenty of water. This can be increased to up to 6 per day. Progastrim® is provided as a bottle of 30 capsules. Store at 4-8oC. Probiotic strains of L. fermentum, which includes Lactobacillus fermentum PCC®, are generally regarded as safe and well tolerated. Progastrim® has been administered to adults of all ages with no serious adverse effects. Lactobacillus fermentum PCC® is a specific human-isolated probiotic strain of the bacteria Lactobacillus fermentum, which has been sold as a dietary supplement in capsule and powder form for over ten years worldwide with no reported adverse effects. 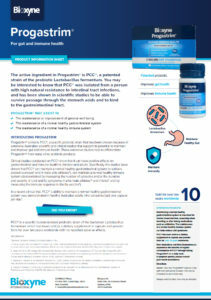 PCC® has been clinically tested in Australia with positive results particularly in the area of gut and immune health – with clinical studies showing that PCC® can protect against traveller’s diarrhoea, generally improve bowel function, reduce the duration and severity of cold and flu symptoms and significantly boost the immune response to the flu vaccine. The Company is currently undertaking a further clinical trial examining the effects of PCC® on the balance of good and bad bacteria in the gastrointestinal tract, gut health and general well-being.